With the discarding of Monthly Progress Reports submitted trough the conventional method, the Ministry of Rural Development (MoRD) has made it compulsory for all States to submit the employment, financial & physical reports through the Management of Information Systems (MIS). In the MIS, the MoRD has utilized software, developed by the National informatics Centre (NIC), called as NREGASoft, for entering of data mandated as per the guidelines. The MIS ensures data authenticity, transparency, quick report generation and easy accessibility. With the reports being generated from the MIS data, the MoRD can gauge the actual progress in the implementation on a day to day basis rather than await reports submitted on a monthly basis. The software NREGASoft, is made available in both online and offline versions. For Blocks in Meghalaya, the offline version is being utilized as they do not have any internet connectivity. The Blocks have to regularly send the updates to the NIC Server from the nearest location having Internet connectivity. This creates a delay in data updates by about 10-15 days. In 2010-11, the State Government had decided to purchase Very Small Aperture Terminals (VSATs) to provide Internet connectivity to the Rural Development Blocks. A VSAT, is a two-way satellite ground station with a dish antenna that is smaller than 3 meters. The majority of VSAT antennas ranges from 75cm to 1.2m and data transfer rates typically range from 56 kbps up to 4 Mbps. 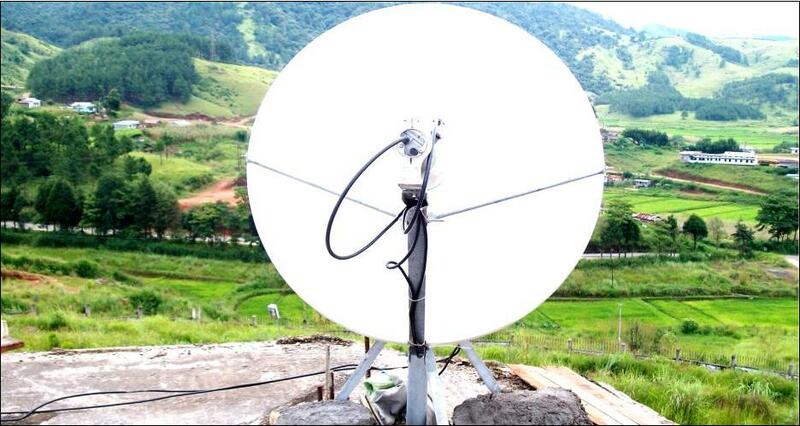 The purpose of the installation of VSAT is to ensure that the Blocks would be able to avail internet connectivity. With the presence of a reliable internet connection, the data entry can be started through the online mode. The VSATs were purchased under the balance of administrative expenditure of 2009-10 and the procurement procedure was completed towards the end of 2010-11. The State Government engaged National Informatics Centre Services Inc. (NICSI), a branch of NIC, for carrying out the procurement and installation processes. An initial bandwidth of 128kbps is provided by the NIC free of cost. During 2011-12, out of the 39 Blocks, the physical installation has been completed in 35 Blocks. In Blocks where the VSAT has been commissioned and initialized, the major drawback is the low bandwidth rendering the connection slow for data entry. The State Government has pursued this inadequacy with the MoRD and the bandwidth is likable to be enhanced to provide better Internet Connectivity to the Blocks. In the latest version available, the payment of wages through cash has been removed. The 39 Blocks are implementing electronic Muster Roll(e-MR) in place of the conventional MR’s from 2013-14 onwards. Arrangements are being made to shift the Blocks to Online mode of Data Entry from the current offline. a) Initiated steps to integrate the VSATs and the SWAN infrastructure in order to provide the computers with backup Internet connections.